Wanna free download and import more music into your MP3 Player? Yes, MP3 players like iPod, Walkman enable us bring music into little pocket for enjoying everywhere and make listening to music become purely without any interrupts from outside. And we have more options to discover and download music for MP3 player, so here we introduce 3 most useful approaches to free download and import music to your MP3 player from online music sites like YouTube, VEVO, SoundCloud etc, and streaming music like Spotify. The little MP3 player can hold all your music, just put it into your pocket and take it to anywhere. Online music sharing sites like YouTube, VEVO, SoundCloud, Vimeo etc are great places where we can discover more new music for listening to, or upload music for sharing with others. But most of them have no option for offline downloading, only resorting to some extensions, plug-ins or programers to make this happen. Any Video Converter Free is the one you might be familar with. Yes, it is a free online music and video downloader which enables you download music or music videos from YouTube, Facebook, Dailymotion, Vimeo, VEVO, Metacafe, Howcast, Niconico etc and convert music to any format according to your devices as well. Step 1: Copy the URLs of music or music videos from sites like YouTube or SoundCloud. Then click on "Download Music Files" from drop-down menu on "Add URLs" button, and a dialog will pop up to let you paste the URLs. The free version has no limitation on the number of music or video downloading, so you can continue to paste more music links as the previous steps. Step 3: Connect your MP3 player or iPod to computer and transfer the downloaded online music from computer to it. There are more Spotify users, no matter free or paid subscribers. It is a piece of cake to get the Spotify music sync to devices like mobile phone, iPad, iPod touch etc, but not to sync or transfer Spotify music to MP3 player like walkman. So the key point is downloading Spotify music as DRM-free files first, thus you can import them to MP3 player effortlessly. 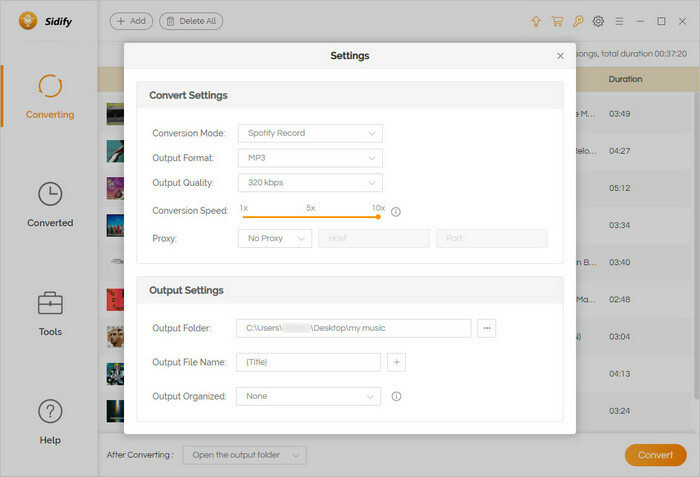 And the good news is that a free Spotify music downloader - Sidify Music Converter for Spotify is available now. It will do you a favour. Step 2: Add Spotify music. Copy music URLs from Spotify and click button, then paste the URLs into a pop-up dialogue. 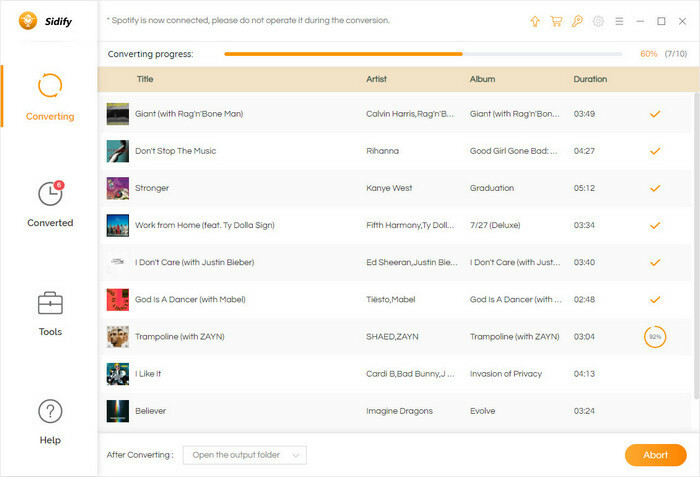 Or drag Spotify music to Sidify Music Converter Free directly. Step 3: Set parameters. You can click Setting button on the top right corner to set output format (MP3, AAC, WAV or FLAC), output audio quality (320kbps, medium 256kbps, low 128kbps) and output path. Step 4: Start conversion. 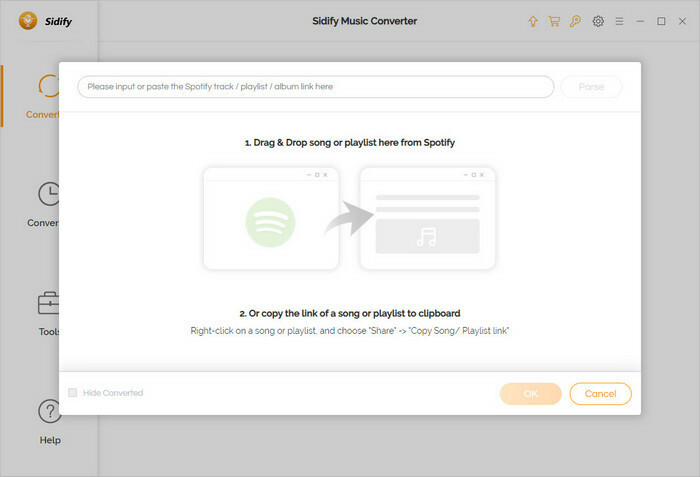 Click "Convert" button to start downloading the Spotify music you want. After finishing downloading, you can click to find the output files. Now, you free download the Spotify tracks or playlists with 4 simple steps, and you can import them to your MP3 player or iPod for listening anytime. It would be wonderful if i can download and import muisc to my devices like iPod, mobile phone directly without doing these separately. iTunes is needed if we transfer or sync music files between PC and iOS devices, but now the best iTunes alternative - Syncios Mobile Managers is highly recommended to free manage your music files. It enables you download music from 100 + online music or video sharing websites like YouTube, VEVO, SoundCloud etc and get them transferred to iPod/iPone/iPad/Android phones directly, and also a free music ringtone maker. Step 1: Download and install Syncios Mobile Manager on PC. Step 2: Connect iPod to computer. Connect iPod or your other devices to computer via USB cable and run Syncios Mobile Manager. Step 3: Download music online. Go to "Video Download" part, copy and paste the music URLs to the dialogue. You need to change the Download quality to "Manually" and don't forget to tick "Automatically transfer to current device", so that Syncios would download music to iPod directly. Tips: After you clicking Start Download! button in a few seconds, a window will pop up automatically to let you choose the output format to music only, then click OK to start downloading. 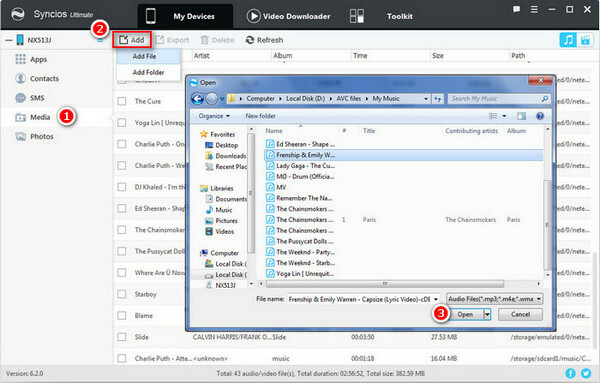 The downloaded music will be saved to your iPod automatically, and you do not need to transfer them from computer manually. And you can also import more music and other files like videos, messages, call logs, photos, ebooks, apps etc to devices for sync or backup. Music is an amazing world for relaxation, also for discovery. Hope these simple tools or methods will really do you a favor. And welcome sharing us more useful tips or experience in your side.